Every new application of aluminium generally requires a detailed analysis of the chemical composition of the alloy which may be used and the performances which may be obtained, of course along with other considerations regarding the conditions of production and of heat and mechanical treatment of plastic semis foreseen for the specific use, extrusions, rolled or forged products. Usually the choice of the optimal alloy refers to a precise composition family, such as, the 2000 series or the 6000 series, but for very innovative applications it is in any case advisable to compare alloys belonging to several families so as to exploit diversity. Considering, for instance, both a heat treated alloy and a work hardened one for a given application allows to compare very different performance, particularly in terms of plasticity, crack propagation, energy absorption, corrosion resistance, weldability, response to surface treatments etc. 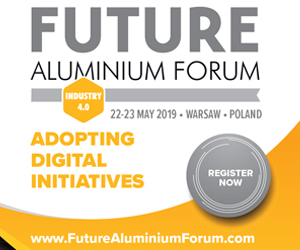 Clearly, innovation in the composition of alloys is really substantial when new alloying elements or new combinations thereof are defined, or when alloys which were little more than a scientific curiosity are destined to industrial consumption. A more moderate but more frequent optimization is envisaged when, in order to reach a pre-determined combination of performances, it is considered necessary to vary the composition of the alloy with respect to what international norms state, trying to exploit the properties of the minor elements and the different conditions of treatment, be it heat or thermo-mechanical treatment, induced by the presence of the micro-alloying agents. These forms of optimization within the limits of the norms have been used during the past years by major manufacturers to define special alloys for the most demanding industries such as automotive, aeronautics, railways. Not always do these “optimized” alloys have al the requisites needed to be given a space as a new alloy in the system used by classification and normative bodies and in this case they are not defined by an official denomination, but they are identified, even for simple and understandable marketing reasons, with a registered invented name, as if to highlight the research effort underlying even a modest change in the standard compositions. Identifying an alloy with a name which has no connection with normative systems is not a novelty; indeed, it implies resuming customs typical of periods when important progresses were made in the scientific knowledge of materials, suffice it to mention the names of alloys which made history such as Anticorodal, Avional and Ergal. In this article we shall present some examples of replacement and/or improvement of alloys, by means of changes in the composition and/or optimization of heat and thermo-mechanical treatments. These examples are also meant to have a methodological character, suggesting to resort to precise evaluation techniques for the effects of adjustments in the composition or changes in the heat or mechanical treatments. The ENAW 7075 alloy is a time-honoured alloy for aeronautical applications requiring high tensile characteristics. 7075, an aluminium-zinc-magnesium alloy, is also used for sophisticated mechanical applications, on account of its excellent machinability. It is normally produced in its T6 state (T651 for plates) which provides the highest mechanical strength, but may influence resistance to stress corrosion cracking. In the extrusion field it is used to produce pipes and rods. 7068 is also an Al-Zn-Mg-Cu alloy, widely used today for the production of components which need to show excellent mechanical properties. Even 7068 has an excellent machinability shown by its use in aeronautics and also in manufacturing components for sports equipments, such as racquets, arrows and snap hooks. Examining Tables 1 and 2 shows evidently that alloy 7068 should be considered a valid replacement and improvement on alloy 7075 in many applications. The 7068 alloy is purer with lower amounts of Fe, Si and Cr, which leads to a higher concentration of the main alloying elements. As a consequence its effect is greater on tensile characteristics, as shown in Table 2, which shows for alloy 7068 a higher level of Rm e Rp0,2, about 20% greater with no loss in values of ultimate elongation. 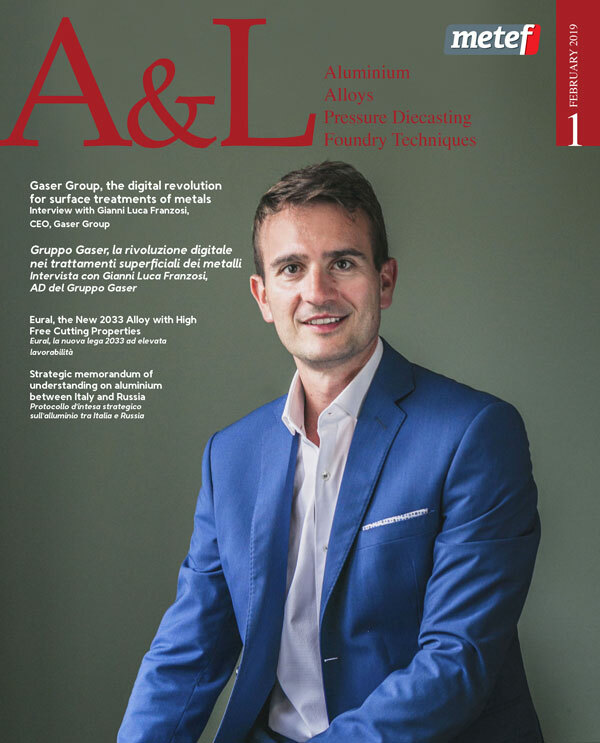 Apart from its chemical composition, alloy 7068 was also optimized with a new formulation of the quenching and precipitation hardening heat treatments with artificial aging, as shown in the publication by M. Rosso and others mentioned in the bibliography. Solubilization at about 470 °C – Quenching in water at room temperature – formation of GP zones – formation of semi coherent MgZn precipitates – formation of incoherent MgZn2 precipitates. This scheme of precipitation hardening may be obtained with different heat and thermo-mechanical treatments. Among the various heat treatments studied for the 7xxx series alloys are the T6 single aging stage treatments, T7X double stage aging treatments as well as three-stage RRA (retroregression and reaging) aging treatments. In the above-mentioned work, the effect of two different heat T6 treatments, defined as T6-A and T6-B, was studied, as briefly described in table 3. The aim was finding parameters for heat treatment such as to increase the mechanical strength of the alloy. The T6-A heat treatment allows to obtain hardness values similar to those obtained with T6-B treatment but with mechanical strength properties which are superior by about 10% (see Table 4). This is because, due to a higher aging time (24 hours as opposed to 15 for the T6-A treatment), T6-B precipitates undergo a coalescence phenomenon. In each case, microstructural examinations have shown the presence of larger and coarse grains which could be avoided adding to the composition anti-recrystallizing agents such as zirconium. C – precipitation hardening after solubilization hardening and artificial aging. The ternary Al-Mg-Si system is based on a pseudo-binary Al-Mg2Si% composition, the precipitate at the equilibrium point has a 1:2 atomic ratio which converted into weight becomes 1,73:1, given the different atomic weights of silicon and magnesium. The different commercial alloys have concentrations of Si and Mg which vary widely as shown by table 5, where some essential data are shown relative to the chemical compositions foreseen by the EN 573/3 norm for some of the most widely used 6xxx alloys. Figure 3 represents the differences and maximum levels of Si and Mg in some 6xxx alloys. It is particularly interesting to note how, within the composition limits of alloy 6060 (by far the most widely used alloy for extruded profiles with average mechanical properties) it is possible to define three versions (besides the basic version) with compositions whose Mg2Si level is between 0.56 and 0.91%. The four versions of the 6060 alloy provide a set of materials which can be extruded very well (both in terms of extrusion speed and as regards obtaining thin extrusion walls) and highly diversified tensile properties of the extruded profiles. Table 6 show the differences in tensile properties in extrusions made out of the four versions of the alloy reporting their Mg2Si levels. 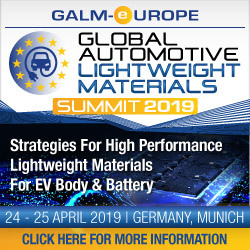 A special and very interesting case of optimization of 6xxx alloys was recently developed by Constellium in its quest for the best alloys for the development of energy absorbers for cars in case of collisions. 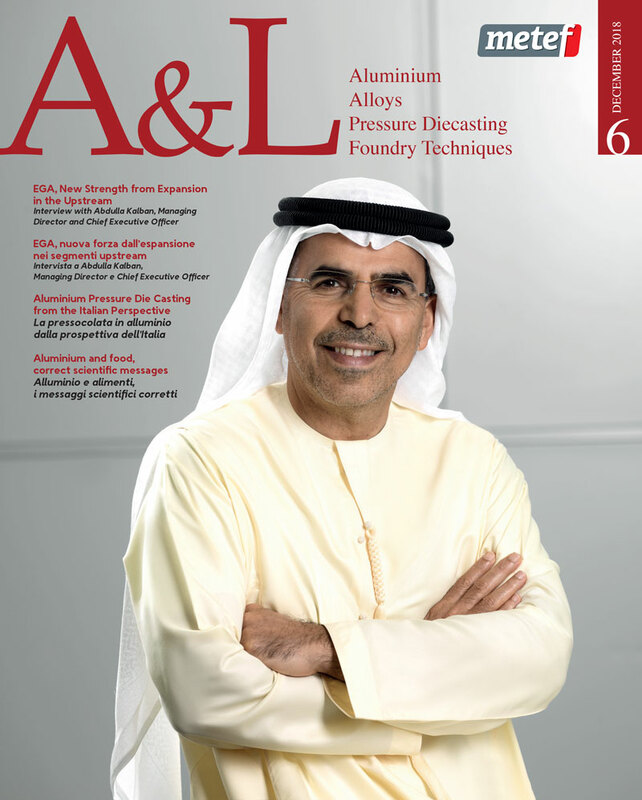 The choice of 6xxx alloys was mainly linked to the high extrusion capabilities of Al-Mg-Si alloys even in complex forms. 1 – Alloys named HSA6 which when put through specific heat and mechanical treatments may attain much better tensile properties with respect to those shown by the traditional 6xxx alloys with greater strength, such as the above-mentioned 6082 alloy. Figure 5 shows how the level of the tensile properties which may be obtained using the new alloys and new processing cycle is considerably better with respect to conventional alloys. 2 – 6xxx alloys named Securalex, with composition and treatment optimized so as to create a material capable of absorbing great quantities of energy in case of collision, are compared to the typical car body alloy (6016 T6) in the creation of bumpers. It should be noted that the declared objectives for Securalex alloys are the same as those foreseen for high strength alloys. 4. optimization of the design of energy absorbers made possible by the results obtained in points 1 and 2. Figure 6 shows the effects on the breaking load value for the HSA6 alloy for composition and treatment choices. 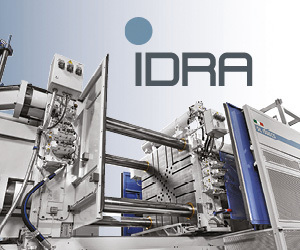 As mentioned before, a further drive towards the improvement of the mechanical properties of medium strength alloys and the improvement of extrusion properties comes from the microstructural quality of the material after homogenization and the precipitation hardening after quenching and aging. Without going into microstructural details, it may be noted that the better mechanical properties after artificial aging will be obtained when a microstructure forms having finely dispersed Mg2Si precipitates with a high crystallographic coherence with the aluminium matrix. Such a structure is indeed the result of the aging process. To begin with, precipitates are needle-shaped and are small in size (less than 0.1 microns), during the aging process precipitates grow in length more than in diameter and finally at the peak of the hardening treatment the precipitation structure is such that the hardening precipitate is homogeneously distributed (Figure 8). The main precipitation hardening mechanism consists, as we know, in an increase in the difficulty of the motion of dislocations following the distribution of particles within the grains. It is best to avoid the formation of precipitates on the grain boundaries since this already acts as a barrier for the motion of dislocations. Of course, a homogeneous distribution of the precipitates should be sought so as to avoid different concentrations in the various areas of the profile and therefore differences in the mechanical properties. Finally the coherence level between the precipitates (Figure 7) and the solid solution determines the intensity of the interaction between dislocations and precipitates.